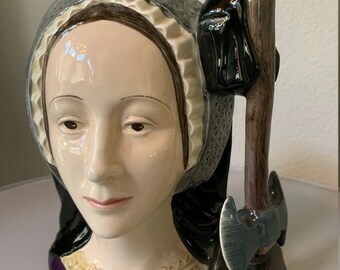 Large Royal Doulton Toby / Character Jug - Anne Boleyn D6644 - One of Henry VIII Wives - Mint Condition. 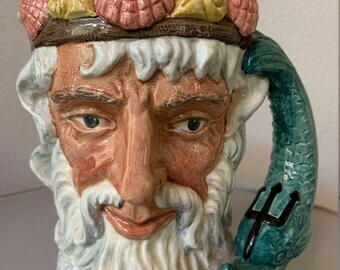 Large Royal Doulton Neptune Character Jug D6548 - Sea God - 1960 - Mint Condition - Beautiful! MACBETH Royal Doulton Character Toby Mug Large Size - Shakespearean Collection - D6667 - 1982 - Beatiful! 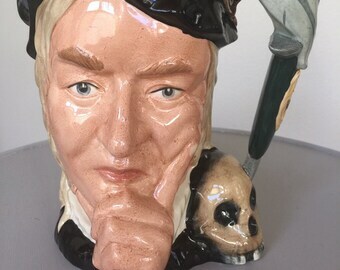 Hamlet Royal Doulton Large Character Toby Mug - From the Shakespearean Collection - D6672 - Excellent condition! 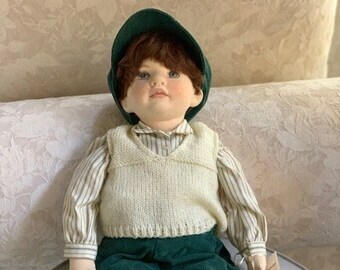 24" BOY Doll By Jessie Bishop Judy Rankine Handmade Cloth Over Ceramic Head, Cloth Body 1997 - Beautiful! 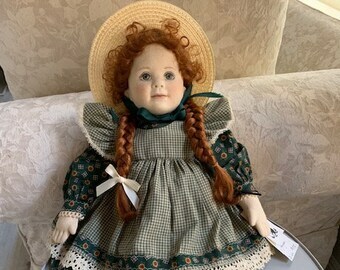 24" JAYME Doll By Jessie Bishop Judy Rankine Handmade Cloth Over Ceramic Head, Cloth Body 1997 - Beautiful! Large SIGNED Royal Doulton 2 Side Napoleon and Josephine D6750 Limited Edition 1215/9500 MINT! Large Royal Doulton The Lawyer D6498 Toby Jug Mug - Excellent Condition - Character Jug - Beautiful! 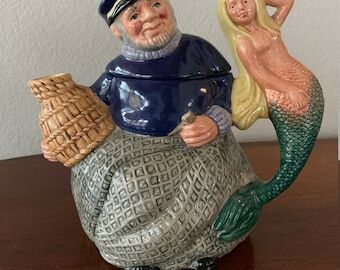 Royal Doulton Character Jug - The Walrus & Carpenter D6608 miniature size - Excellent Condition! Sea Lion original photograph from Sea of Cortez - 8x12 to 16x20 sizes available printed on Aluminum! Male Sea Lion Sea of Cortez photograph printed on Aluminum ready to hang various sizes. Beautiful! I started taking underwater pictures about 10 years ago so I could share all the wonderful things I see while scuba diving! I do a few art shows every year and love it when I get to interact in person with friends as passionate about our oceans as I am. I am printing my work on Aluminum now because it really makes the colors POP! I am attracted to very colorful subjects and focus on those that will make eye contact with me! All of the images are as captured...I do not enhance or change the colors. 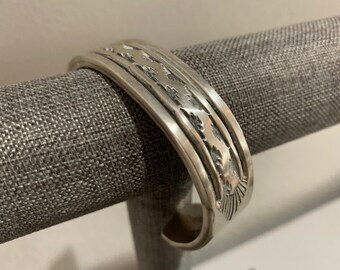 The Aluminum process does make them a bit more intense and has a sort of "3 D" effect that is awesome. I will be adding items weekly so check back if you don't see what you are looking for. All of the aluminum prints come ready to hang with a mounting block on the back that makes it stand off the wall. I also make them with slightly rounded corners so they are not as sharp as the square corners. Most images will note the name of the subject and where the photo was taken. I travel all over the world to dive the best reefs and capture the natural beauty of our oceans. Thanks for sharing my Passion! I have always been fascinated with the wonderful underwater world! I have been diving for over 20 years and am always excited to discover some new sea creature. I took up underwater photography in an effort to share my passion. I hope you enjoy! Welcome to my shop. I hope you enjoy the visual journey. I try to photograph vibrant colors and favor those that will make eye contact with me! If you are looking for something special, just let me know...I have thousands of images available. Payment accepted with credit card. I do charge sales tax if if ships to California. Special orders cannot be cancelled or returned. Standard items listed may be returned for an exchange of equal or greater value. I understand that once you get it home it may just not feel right...we will find the perfect fit. I will ship within 2 business days if I have the item in stock. If I have to make it, it takes about a week plus shipping time. I make beautiful note cards with envelopes - 5x7 card size. Any of my images can be made into cards. Minimum order 10 cards - same or mixed. I make special Holiday cards around Christmas. Contact me about consignment or wholesale purchases.